Our code of business conduct describes the ethical values we require from our employees. It sets forth what we stand for and what we prohibit as a company. It also identifies policies and resources to help employees live up to these expectations. 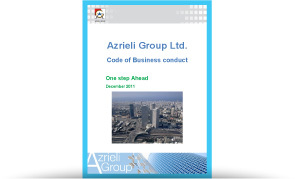 To view our Code of Business Conduct, please click on the cover.